Israeli Prime Minister Binyamin Netanyahu has reached an agreement with the Hamas terror organization, thanks to Egyptian mediation. According to Hamas, the agreement will be signed in the coming days. Deputy Hamas leader Saleh al-Arouri emphasized Saturday night that "this is not a peace agreement with Israel, and has no connection to diplomacy. We are interested in ceasing the fighting in exchange for [Israel] lifting the siege." "We expect agreements to be signed within a few days. We expect that it will happen soon - there will be understandings of calm that will reduce the siege significantly." Israel and Egypt both share a border with Gaza, but Egypt keeps its border mostly closed. 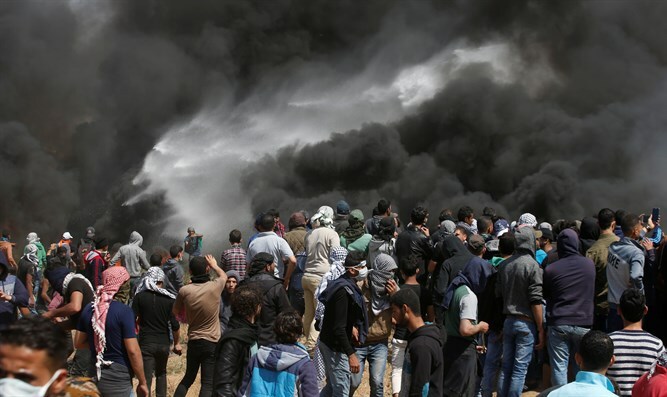 On Friday, a source who participated in the agreement with the Egyptian mediator said, according to Channel 13 News, that the Gaza factions had agreed to end the nightly demonstrations. Israel, in return, will ease the restrictions on the fishing area, allow the Qatari money into Gaza and resume the supply of electricity.